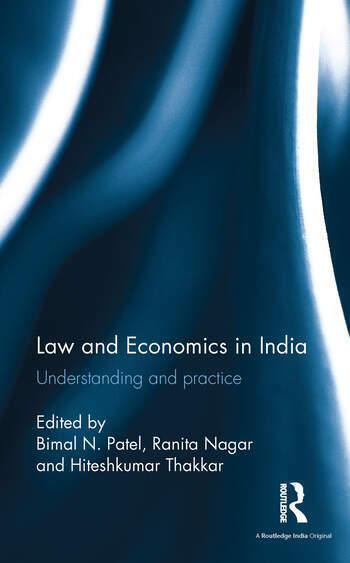 This is one of the first volumes that uses economic tools to analyse and evaluate law and policy in India. Applying economic theories such as incentive analysis, cost–benefit studies, and game theory, the essays in the volume negotiate contentious issues in law including property, contracts, torts, nuclear liability regime, bankruptcy law, criminal law and procedure, constitutional law, administrative law, environmental law, and family law. A radical take on commercial and socio-legal issues in India, this book will greatly interest scholars and researchers of law, political economy, and public policy. Bimal N. Patel is Director and Distinguished Professor of Public International Law, Gujarat National Law University, Gandhinagar, India. Ranita Nagar is Professor of Economics, Dean of the Department of Research and the Head of the Department of Social Sciences at Gujarat National Law University, Gandhinagar, India. Hiteshkumar Thakkar is Assistant Professor of Economics at Gujarat National Law University, Gandhinagar, India.